I remember growing up we used to sing the song “Stepping in the Light.” The gist of the song was about trying to walk in the steps of the Savior. (complete lyrics can be found here) That song became very real to me this past Saturday. 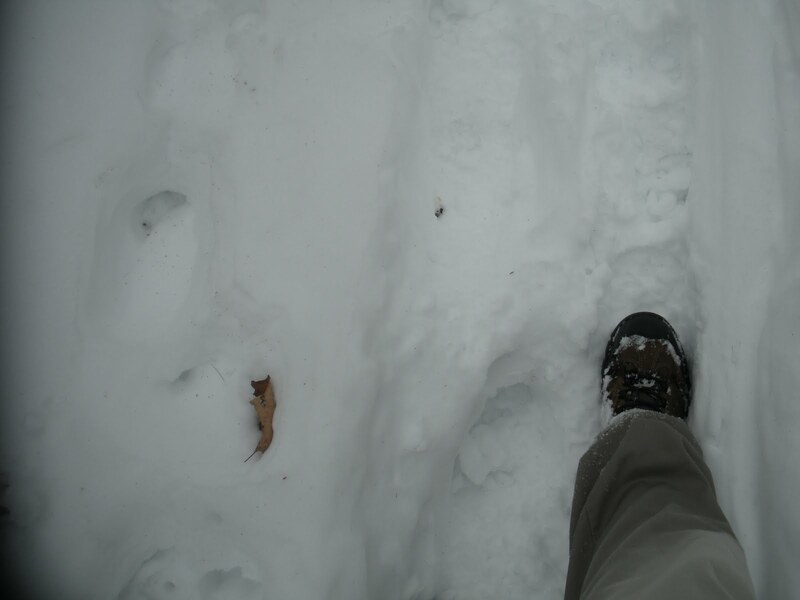 I went on a hike in about 8-10 inch deep snow. I came to a crossroads where I wasn’t sure which direction to go, but I saw a set of footprints and followed that path. Occasionally, I’d step out of the footprints and make my own path, which made the next step very difficult. All the way up I kept thinking, Jesus has made a path for us and hasn’t made it easy, but He’s made it easier if we just follow in His steps. It’s beginning to feel like the only thing I blog about is the snow–well today is no different. 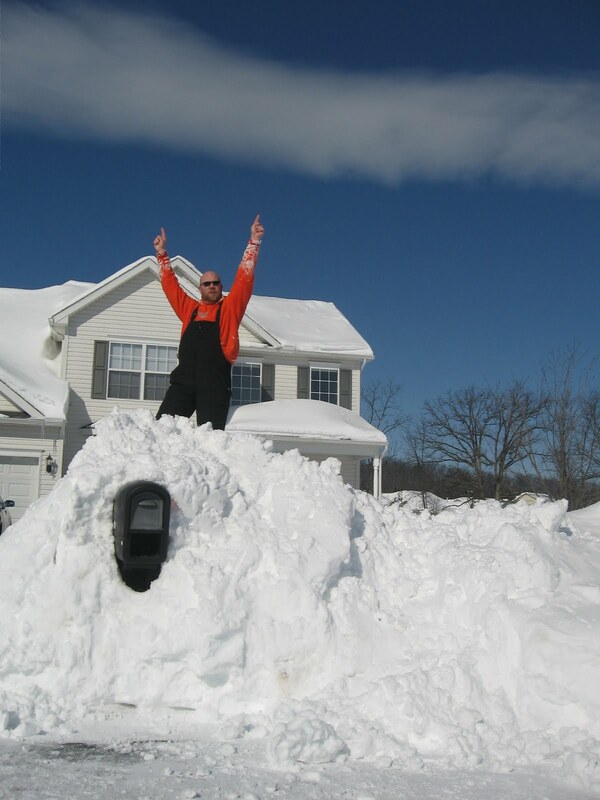 EXCEPT, This big snow missed us! whoo hooo! That doesn’t mean we haven’t got any snow, but we aren’t getting the 20+ inches. But we are getting sustained 25+ mph of wind with gusts up to 50. I had to get out this morning and it is blowing the snow everywhere. It was cool to see. I posted a video on youtube and you can see it here. Our new quarter is approaching with only one week left in the current quarter. On Wednesday night we will finish our study of Ecclesiastes. I’ve really enjoyed that class and I think they have as well. It’s challenged me to re-think about my outlook on life. Often my priorities end up on the wrong thing. Not on bad things per se, but not on the best thing. I taught this book with Richard Chinnis back last summer and it’s amazing how much more I’ve learned this time through. It’s been a good study for me. And this Sunday I’ll be teaching Scott’s class. Scott is going to be in Russelville, AL starting Sunday in a meeting, so he asked me to teach his class. Most times teaching someone else’s class is difficult, but not EXTREMELY difficult, to me this class falls into EXTREMELY difficult. The nature of the class lends to this. It is a class for us college-aged/young adults where we get to ask questions that we would like answers to, to better be able to help others see the truth. And so the question this week is “Where did we get the idea of the Trinity? Why do we consider the Father, the Christ and the Holy Spirit to be three parts of a whole?” I’m not sure there is a tougher question! One thing I am certain of is this: we’ll never know all the answers here on earth. So we are going to tackle this subject as best as possible. Next quarter I’ll be teaching a Bible foundations class to newer converts or anyone wanting to brush up on the basics. I’m really excited about this class. Recently, I’ve been thinking a lot about personal responsibility and bc of that last week’s sermon dealt with taking personal responsibility for sin. Often we want to be like Adam and Eve and blame someone else, but we have the power to rule over our sin (Gen 4:7). Someone may be in the wrong and encourage us to do wrong, but that does not excuse us. This a lesson that I really needed. This week it’s looking like I’m going to be preaching on “The Heart of God’s Worshipers” looking at his aspect from John 4. But it is only Friday and things are subject to change. I didn’t do a good job this month laying out my sermons in advance. I’ll get another shot in a few days. Some of you have asked me about the young lady we had invited to the Mark study with us. Well, she was there this Sunday night and plans to be back again this Sunday. Also, I was at one of the grocery stores this morning where I had a put up a bulletin about reading the Bible together…And about 5 of the slots with my name, phone number & e-mail were gone. But I have received no calls or e-mails, so I’m not sure what to make of it. I’m hoping that people are looking at them daily and trying to work up enough courage to call or e-mail. Please pray for this endeavor. Thanks again for all of your prayers, e-mails, facebook & twitter comments. They are very encouraging. Gettysburg has been buried in snow for quite some time now. We received 2 different snows of 20+ inches in a matter of about 5 days. It has affected not only our homes and work, but our Bible studies and services. Two Sundays ago we only got to meet one time in the afternoon. And on that Wednesday we had to cancel again. Those of us who teach on Wednesdays lost a lesson this quarter. I’m in a lucky situation where I can use the pulpit to cover some of the material we would’ve covered in class. The other teachers are not so fortunate. We are hoping that the big snows are done for the year and we don’t have to change any more studies or worship services. Some of the things that have been going on here…The past 2 Sundays I’ve preached from the book of Ecclesiastes. The first lesson was from chapter 7:19-29 entitled “Wisdom Gives Strength.” We looked at 5 things that wisdom gives us the strength to do 1) Admit/Confess sin 2) Forgive others 3) Say, “I don’t know” 4) Recognize and escape temptations 5) Give God His glory. The second lesson came from chapter 4:9-12 entitled “Two are Better Than One.” We looked at 3 benefits of having spiritual companions 1) Lift-up one another 2) Keep one another warm (motivate) 3) Fight alongside with one another. This past Saturday, I had the opportunity to go and participate in a Winter Camp that is put on by Gardner Hall in New Jersey. It was a great day. Five teenagers and one college student went with me and they benefited tremendously from it as did I. Over the entire weekend they studied the books of Zephaniah, Haggai and Malachi. But since we were only able to go on Saturday and had to leave before too late we only studied Haggai. A book some of the kids had never studied the book before. Needless to say, they learned a lot. Also on Saturday, Scott gave a lecture at the Gettysburg library refuting evolution. The turnout was not exactly what he had wanted or expected, but he did have 4 visitors from the community. So we were thankful for that, and he is hopeful for some follow-up with at least one of the visitors. But we’ll see how that goes. Just pray for this endeavor especially since he is planning to do this several more times at another library. Some of you have asked me about our sermons being online…well, at the moment there are only a few on the website, but I’ve been asked to help do some work on the website. So Lord willing soon, I will be posting more sermons and articles online. We are going to try to use the website for a better teaching tool. I’ve been out of it this past week. Early Saturday morning my throat began to hurt and when I woke up Saturday morning I had a nice little fever. So I took it easy and slept. I felt even worse Sunday and slept all day again. Kyle (roommate) said he came into my room before and after services and I was lying in the same position and hadn’t moved. I’m not surprised at all. But I started to feel some better Monday once my fever began to break, but I still slept most of the day. 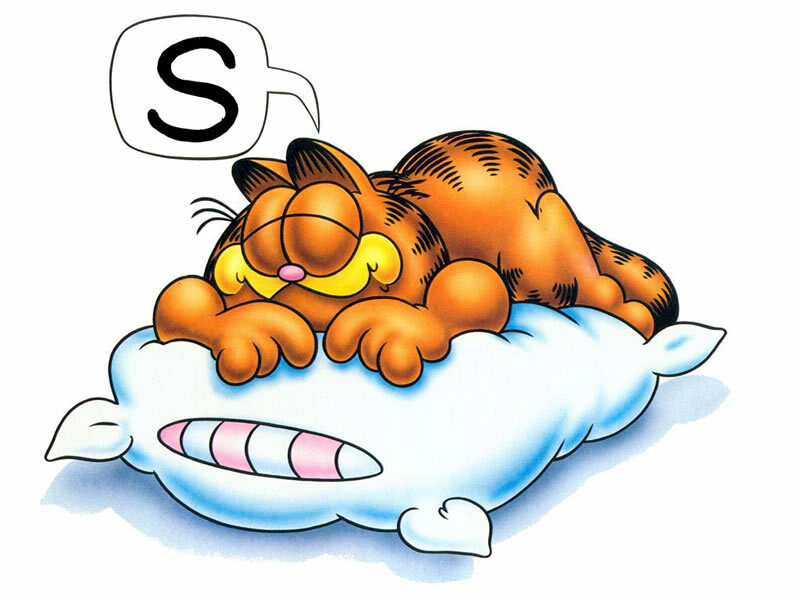 In fact, I set a personal record for the most consecutive hours of sleep 17 1/2! Needless, to say by Tuesday I was stir crazy and wanting to feel better. Tuesday night I felt pretty much back to normal. And yesterday was a normal day. So I don’t have a lot of new news regarding the work here. But I am hopeful that we will have a young lady starting to join us for our weekly study of Mark after Sunday evening service. A couple from Gettysburg had visited Home Depot one Sunday afternoon and met this young lady and invited her to come to worship. Well, she came with them that night and said she’d try to visit on Sunday evenings and Wednesday nights. So we hadn’t seen her for a while, but the family had been back to Home Depot a few weeks back and had invited her again. So she wanted to surprise them last night by being there..but as it turns out they weren’t able to make it out last night. Anyways, she normally works till about 7 on Sunday evenings and our study of Mark starts after 7 so she is hoping to start attending. Especially since she can’t make her normal worship period. So pray that she is able to start studying the book of Mark with us. On a more frustrated note, the Commonwealth of Pennsylvania A) is now requiring me to have an affadvit to prove that I live here B) Will not accept my original birth certificate from Alabama so I GET to apply for another one. whooo hooo (sarcasm). Nevertheless, the wheels are turning and seem to be making some progress. BTW, we are expecting a big snow tomorrow. I’ve heard different reports but the two most common are 7-10 inches or 12-20 inches. My vote is 12-20 b/c I’ve never seen that much snow. But it will be a mess either way you look at it. We have several members who are in Florida for the lectures and will be traveling back Friday and Saturday please pray that they make it home safely. I believe that is all for now.